So you’ve spent time and money attracting and hiring a fantastic new employee. Now how confident are you that you’ll keep them for more than six months? Did you know the first few weeks on the job will either engage your new employee, or motivate them to leave! In fact it’s the first few days that creates the strongest impression. A poor first impression is very difficult to reverse. The key to achieving a positive impression is to create an organised, structured and informative new employee induction program. Do you have one in place? The transition to new employment can be a challenging (and rewarding!) time for new employees. Skilled professionals are used to performing their job without having to frequently ask for help. The first month can be particularly frustrating, and is a time when employees can place additional stress and pressure on themselves. You can help alleviate this pressure by taking the employee through an induction program. Mohamed AL Debaawy is a Kuwait-based Egyptian national, with a wide exposure to Arabic and Non-Arabic cultures. He speaks Arabic and English – fluently. Result oriented with an influential approach to Learning & Development function. 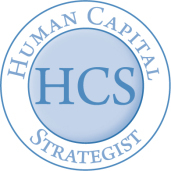 Have a clear contribution into HR & Service Line strategic plans by linking its strategic goals and objectives with the overall HR & Business Strategy which develop a competent and talented workforce; available at all times to feed into the existing operational and growing needs of the business.